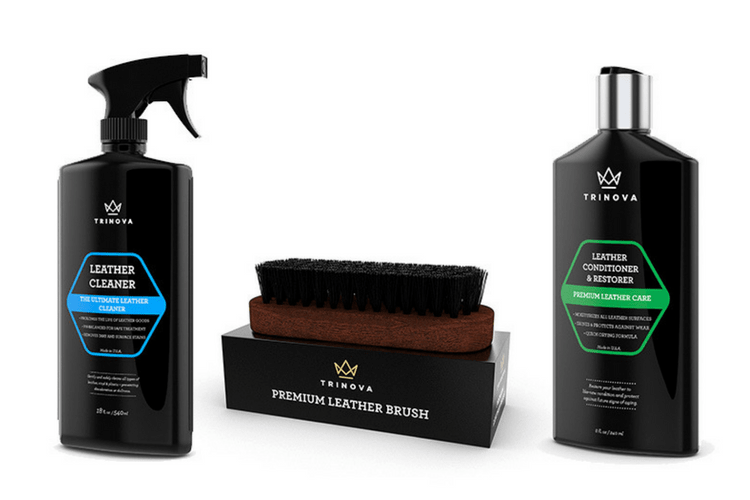 Faux Leather can look and feel as luxurious as the real thing so it deserves to be properly cared for and maintained. 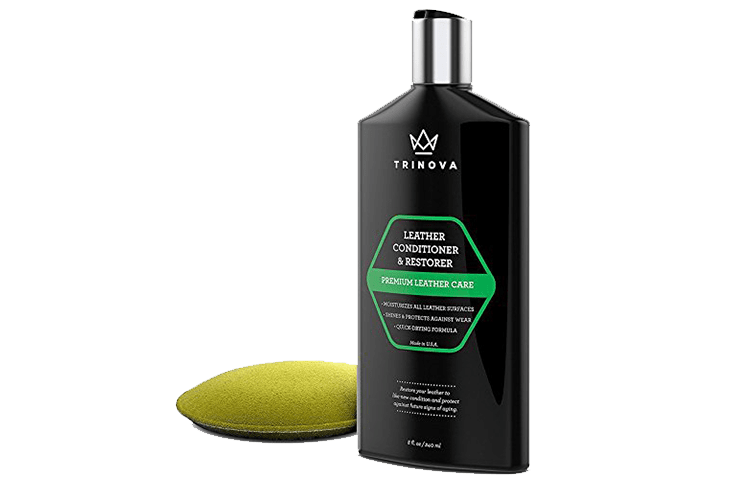 Your synthetic leather goods will look their best after treating them with TriNova’s Faux Leather Cleaner and Conditioner. 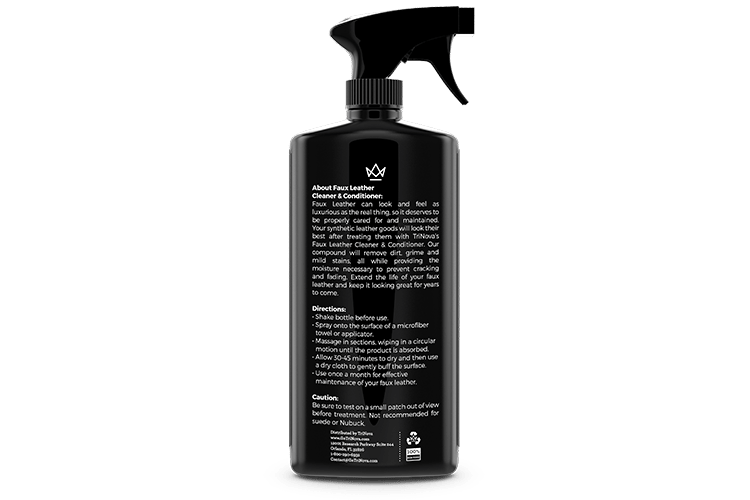 Our compound will remove dirt, mild stains, and grime all while providing the moisture necessary to prevent cracking and fading. 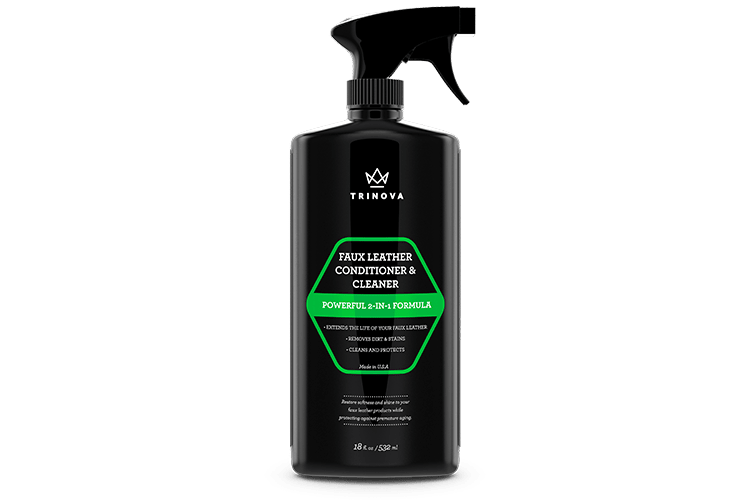 Extend the life of your faux leather and keep it looking great for years to come. Shake bottle before use. 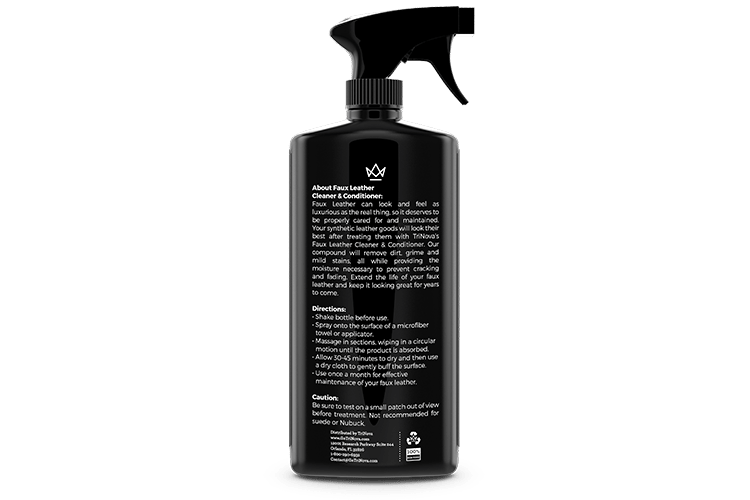 Spray onto the surface of a microfiber towel or applicator. Massage in sections, wiping in a circular motion until the product is absorbed. Allow 30-45 minutes to dry and then use a dry cloth to gently buff the surface. 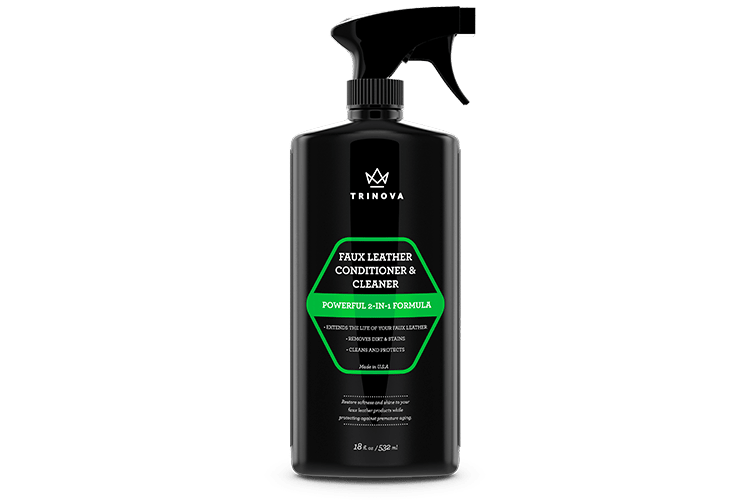 Use once a month for effective maintenance of your faux leather.